Anthony Daley’s football journey has taken him from the Greendell Falcons midget program all the way to B.C., but he’s finally back home again. A graduate of J.H. 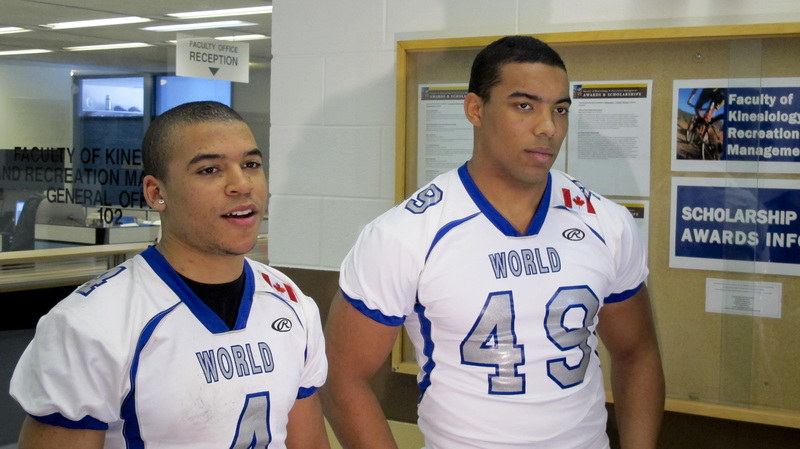 Bruns Collegiate in Winnipeg, Daley was courted by a couple different junior football programs, but ultimately chose to play for the Langley Rams in Langley, B.C. as he had family close to that area and wanted to experience the game outside of his home province. “I googled the closest team to where my uncle lived in B.C., and my uncle lived in South Surrey and the team was in South Surrey at the time but they moved to Langley a couple weeks after that coincidentally,” Daley said. To say Daley did well is a bit of an understatement. 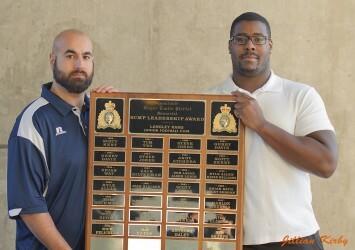 The offensive lineman went on to win two British Columbia Football Conference (BCFC) championships – the first in 2012 and the second in 2014 – and was also named a CJFL All-Canadian in both 2012 and 2013. Daley’s success with the Rams also garnered him some attention from the B.C. Lions. For three seasons, starting in 2013, he practiced with the team as a territorial exemption (someone who doesn’t count towards the team’s roster limit). After finishing his final year of junior eligibility this past year, Daley faced an interesting dilemma. He could either pursue the possibility of gaining a roster spot – much like fellow BCFC graduate Andrew Harris did in 2010, or he could return home for university and hone his game in the CIS. 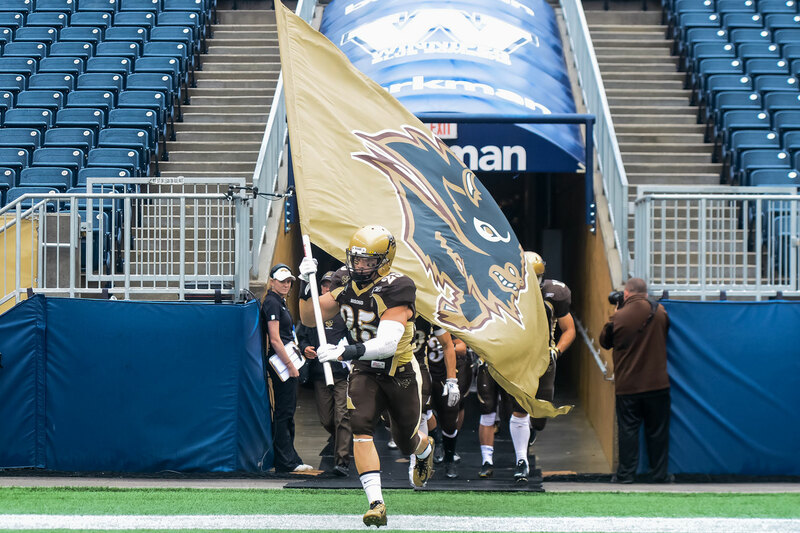 Ultimately, Daley chose the CIS route and a commitment to the University of Manitoba Bisons for 2016. Daley noted the importance of a college education as one of the biggest reasons for coming back home. 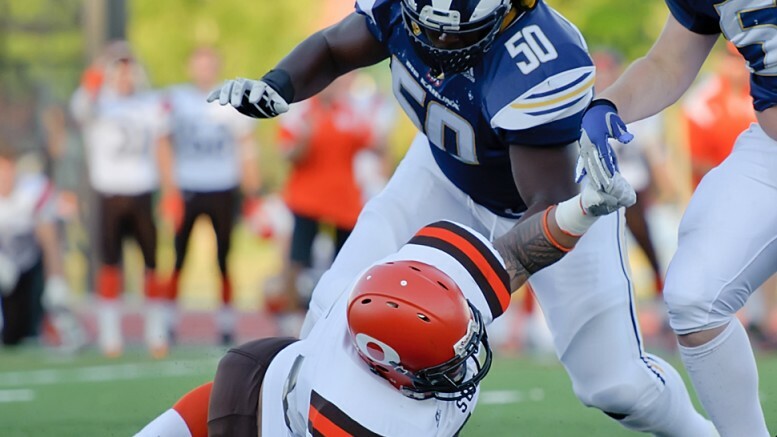 Bisons football head coach Brian Dobie has recognized Daley’s talent for a number of years, and the offensive lineman has a tremendous relationship with the herd’s bench boss. “He’s a unique recruit, because I’ve recruited him for a few years now, and I know him the way I know many of my own players,” Dobie said. The Bisons head coach also noted Daley’s dedication to his hometown, as he would return from B.C. in the offseason to take classes in the winter term. With two veteran offensive linemen from the 2015 season now graduated, Daley’s commitment couldn’t come at a better time for Dobie in terms of leadership and experience. “He brings a lot. He’s an intelligent guy; he’s an aggressive player and an intelligent person. That’s a pretty good combination,” Dobie said. Ultimately, Daley is no stranger to the Bisons program and his addition to the roster, in the eyes of some, is a long time coming. “I was training with the team in the offseason so I’ve always been a familiar face – I guess a bit of a tease, so I’m sure it’s a bit of a relief now,” Daley said.